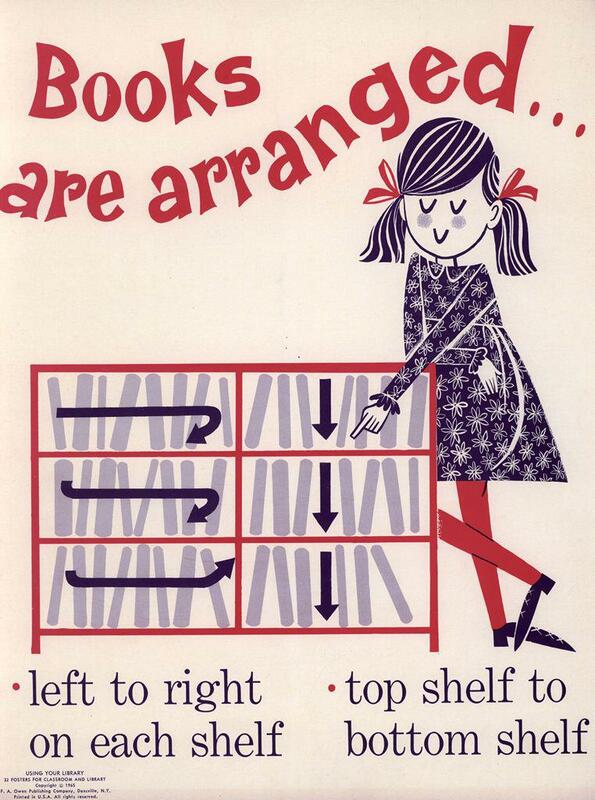 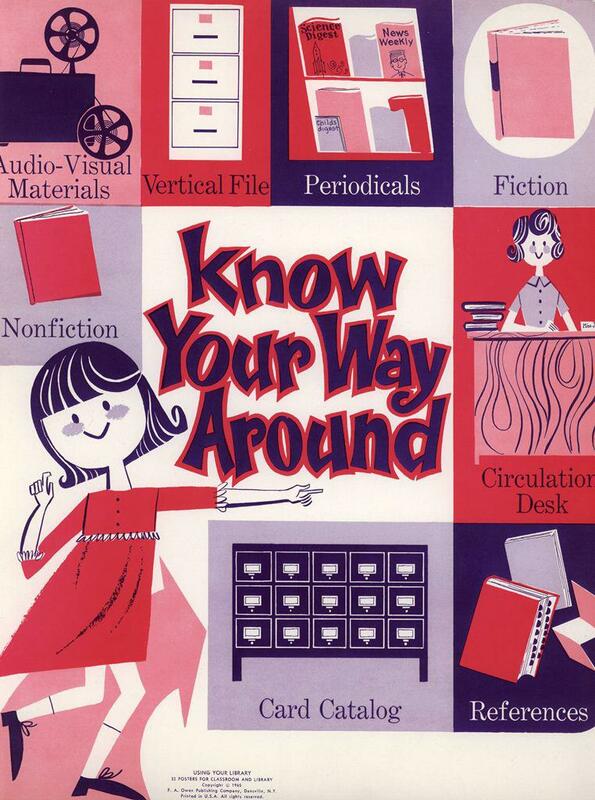 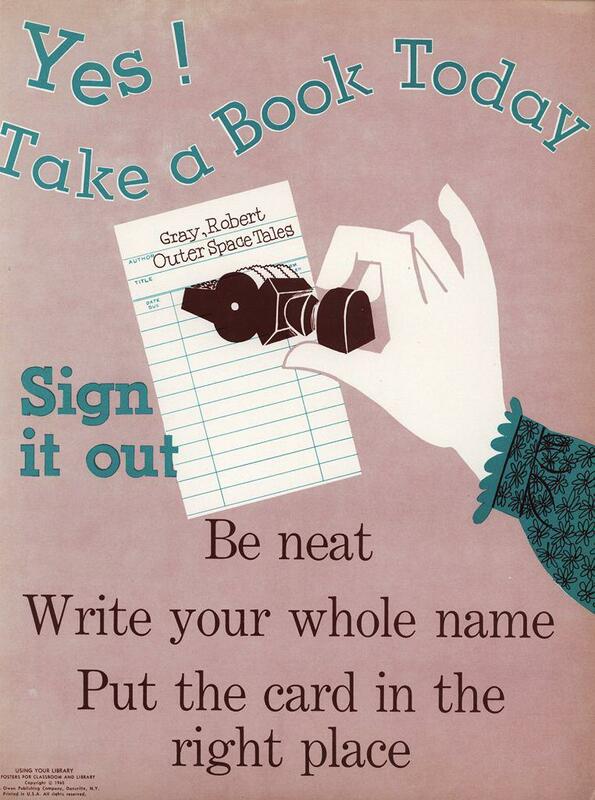 Here are eight sweet posters from a 32-poster book, first published in 1965, Using Your Library: 32 Posters for Classroom and Library, by Mary Joan Egan and Cynthia Amrice. 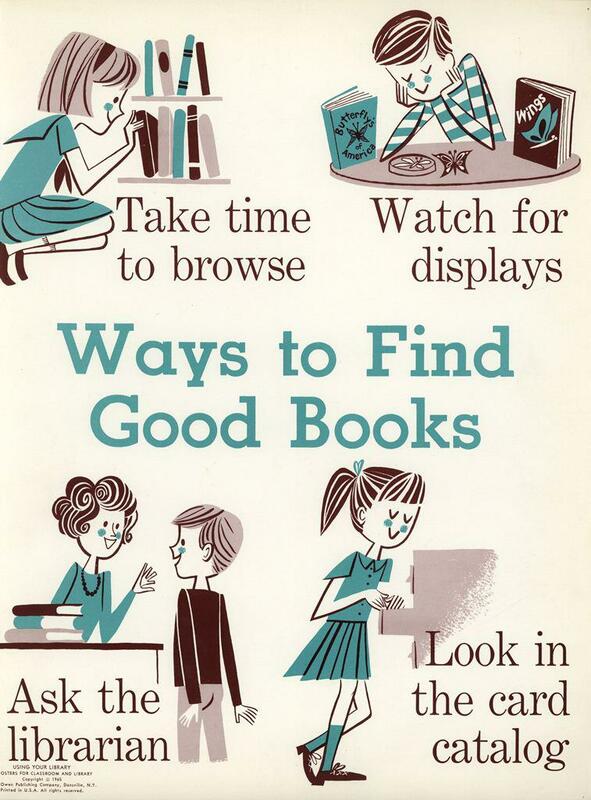 The posters guide baby-boomer children through the processes of research, book discovery, and borrowing. 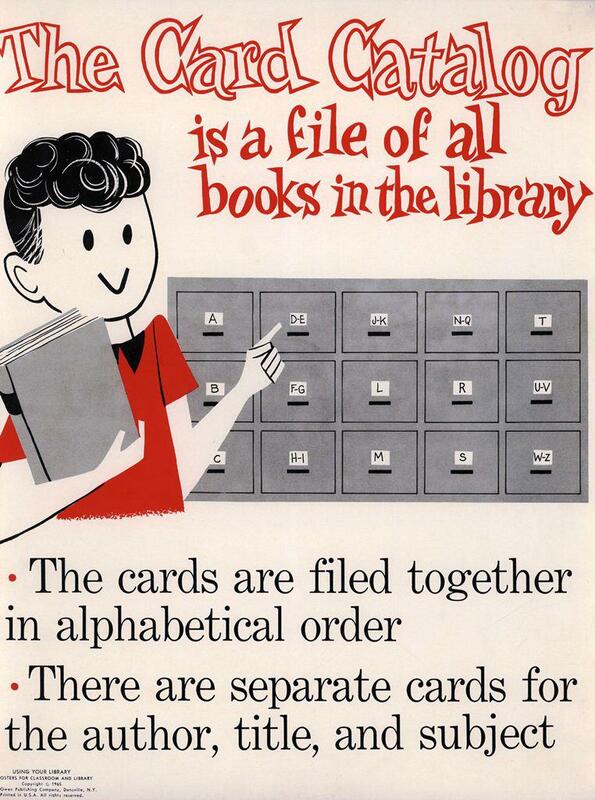 In the 1960s, money provided by Congress through the Library Services and Construction Act enabled public libraries to expand their services. 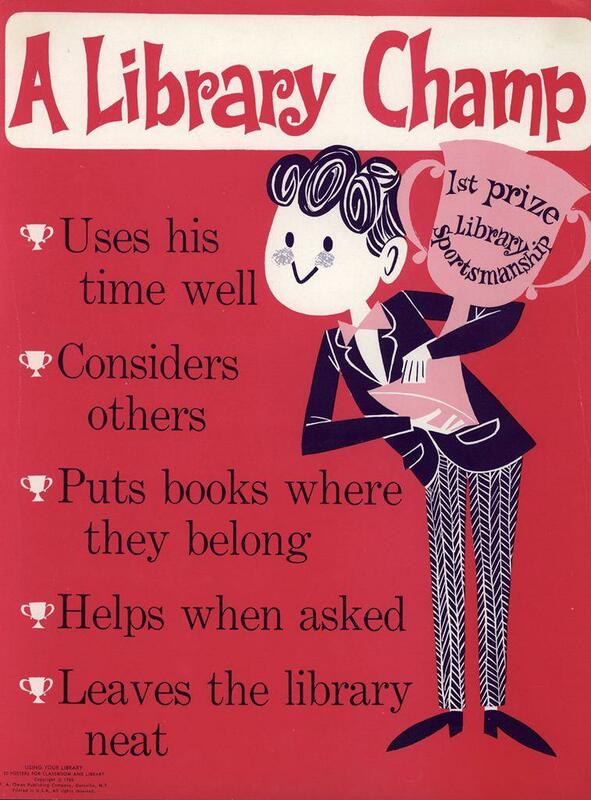 The act, taking a cue from the civil rights movement, was intended to extend libraries’ reach into underserved rural and urban communities. 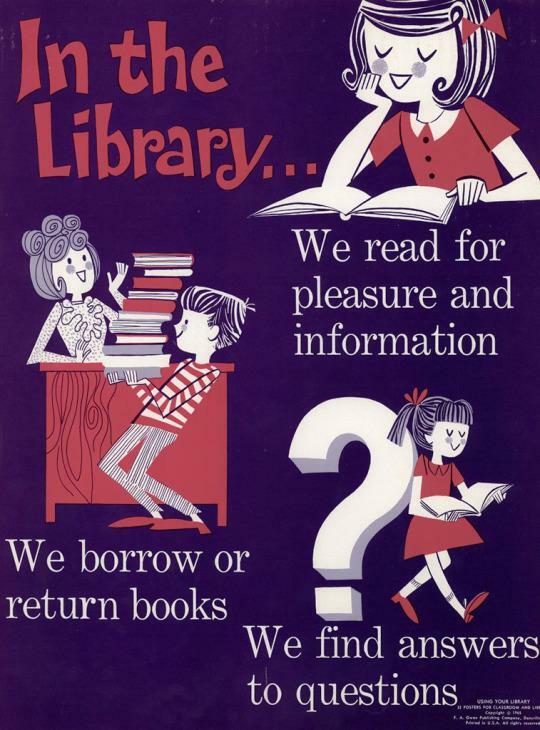 Mary Joan Egan and Cynthia Amrice, Using Your Library: 32 Posters for Classroom and Library. 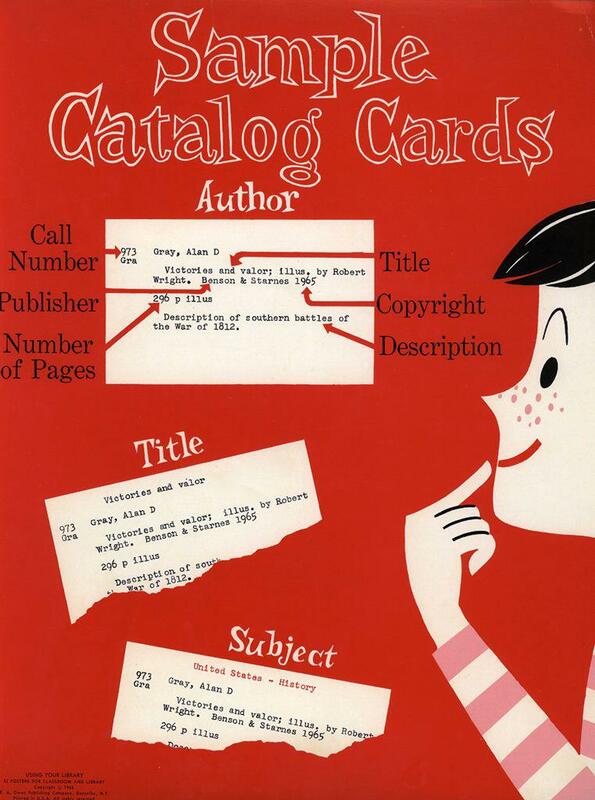 Danville, New York: F. A. Owen Publishing Company, 1965.